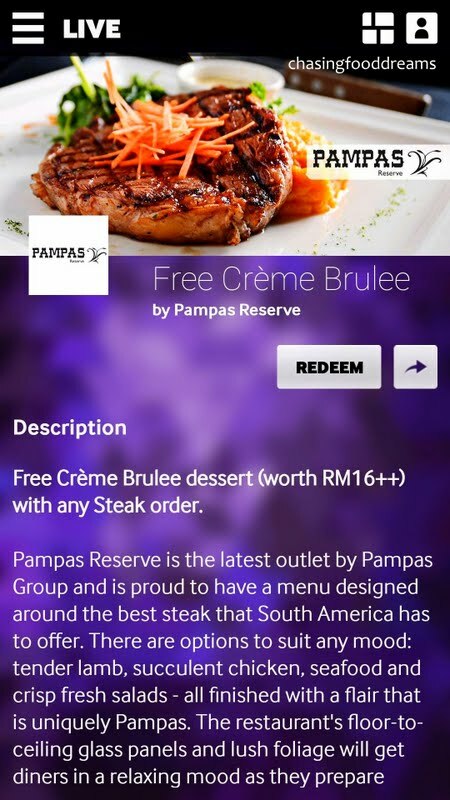 My First Passport from Samsung Galaxy Life, a Gorgeous Free Dessert at Pampas Reserve Grill and Bar! Think endless deals and freebies. Think endless fun and surprises. Think endless possibilities. I was excited to download this app when I first heard of it from the grapevine. With my newly owned Samsung Galaxy Note III, my discovery of Samsung products and software are just fabulous. 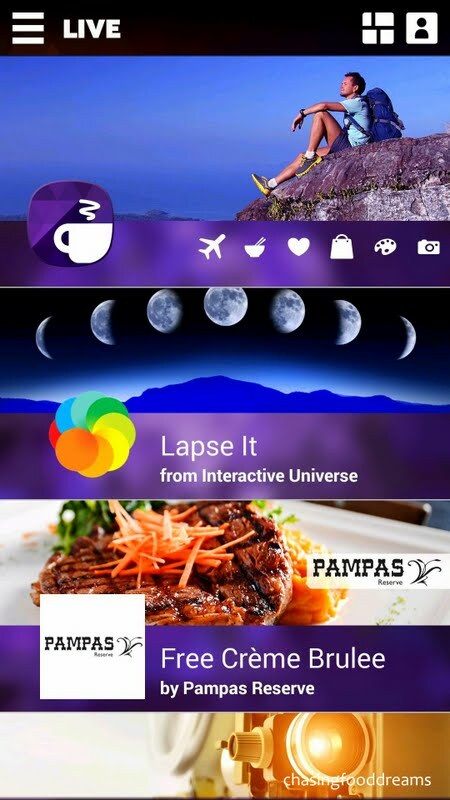 Always a leader in many forms, Samsung has now taken another step to introduce the latest Samsung Galaxy Life app for Samsung mobile users like me. 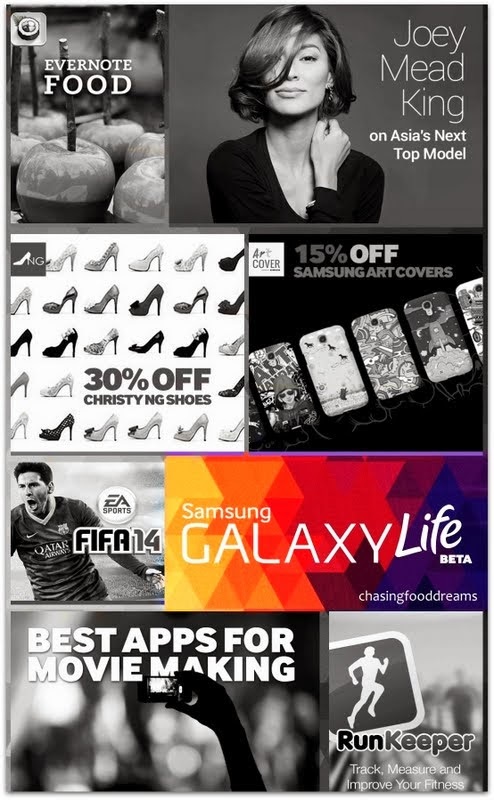 Design to grant passport to exclusive privileges of daily deals with discount coupons or freebies, selection and reviews of apps, special content from experts and many more rewards, Samsung Galaxy Life is the app to take your life to another level. Took less than a minute and my Samsung Galaxy Life app is downloaded. It even welcomes me with a personalized greeting… cool! At the home page, simply touch the top left corner to go to the Life pillars. Each one brings different element and believe, there is plenty to keep everyone of all ages happy! Just one LIVE alone had me hooked for a long time. Now it’s no surprise that I am obsessed with food. 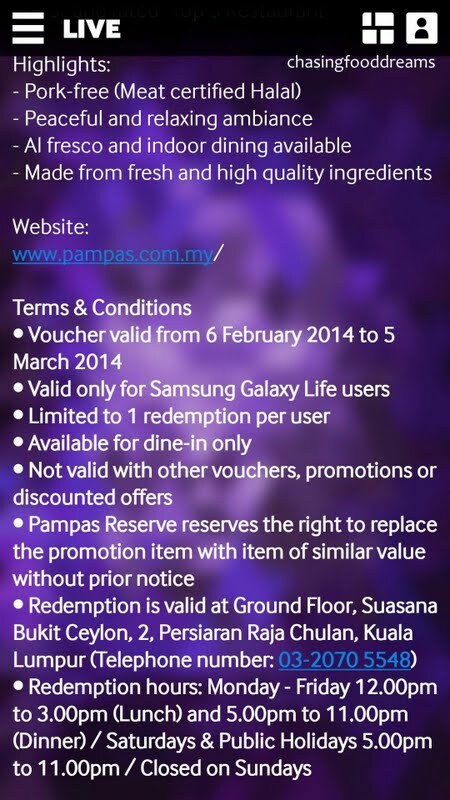 So what caught my eye was this deal from Pampas Reserve Grill and Bar. Boldly stating Free Crème Brulee, one of my all-time favorite desserts, I dived in and checked out the deal. It turn out that Pampas Reserve’s signature was steaks! The deal was simple, order any steak and I get a Crème Brulee for free with my Samsung Galaxy Life app deal. Details of the restaurant and all T&C provided are clear and precise. No further encouragement needed, I checked out Pampas Reserve with another foodie one evening. Located in a quiet area in the lively metropolitan city along Persiaran Raja Chulan, Pampas Reserve is set in the heart of Suasana Bukit Ceylon condominium. 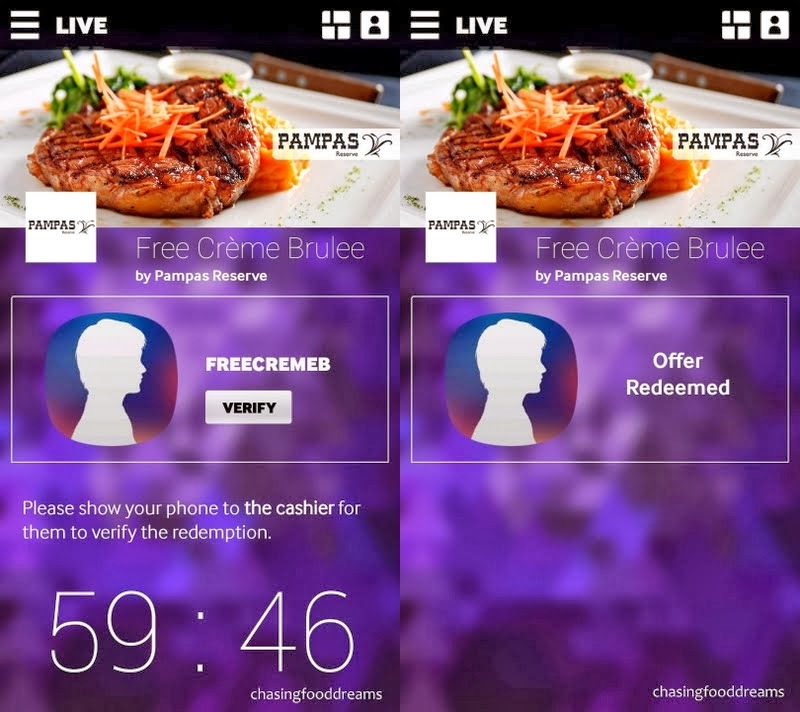 It’s normally not a place I would seek out but I am glad that with this deal from Samsung Galaxy Life, I get to be adventurous and check out a new restaurant. The restaurant is gorgeous and the menu offers lots of starters, seafood, poultry, meat, dessert and more. Since the deal was steak and dessert, I set my order for a starter and a steak. Pampas Reserve serves up high grade beef and prime cuts. Choose the cut, the weight and the sides and one is set. I had the CAAB (Australian Certified) Black Angus Sirloin with pumpkin mashed and broccoli with Chimichurri sauce. It was literally a steak to swoon at. Lusciously tender, juicy and unctuously flavorful, my Black Angus Sirloin is amazing. The sides and sauce compliments the steak really well too! I had mine with a smooth Astica Malbec red wine from Argentina. After my meal, I whipped out my phone and showed the Samsung Galaxy Life deal to the wait staff and cashier. Select the Pampas Reserve deal. Click Redeem. With a click on Verify, my offer is redeemed. Easy Peasy…I get a Free Crème Brulee worth RM16++! And boy, was it good! Contrasting luscious thick cream with burnt sugar crisp…it’s heavenly and Free with Samsung Galaxy Life app! 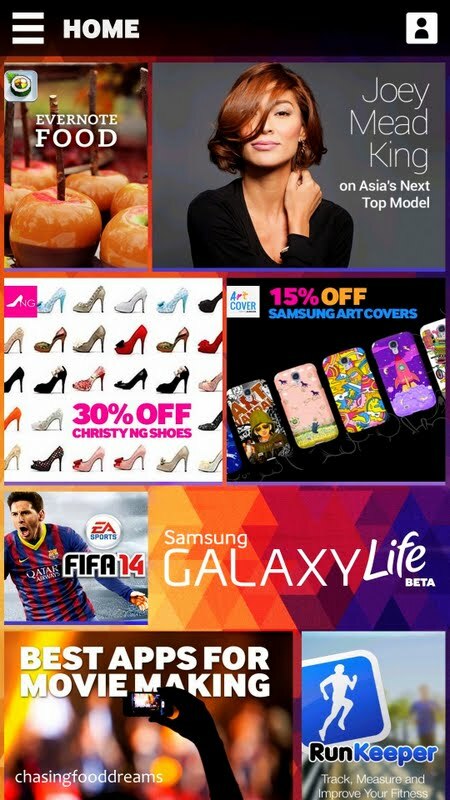 Download the app, which is designed exclusively for Galaxy users and check it out for yourselves. Everyday features a list of different privileges. Life is made even better with such surprises. 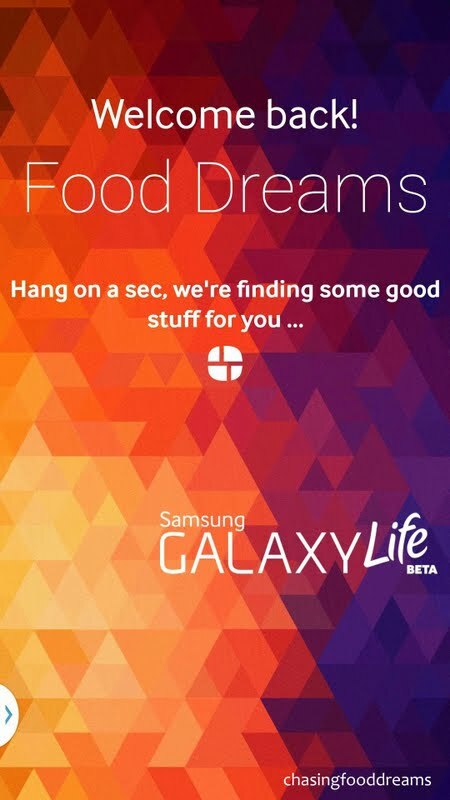 I can’t wait to discover more with Samsung Galaxy Life… it’s what life is all about. 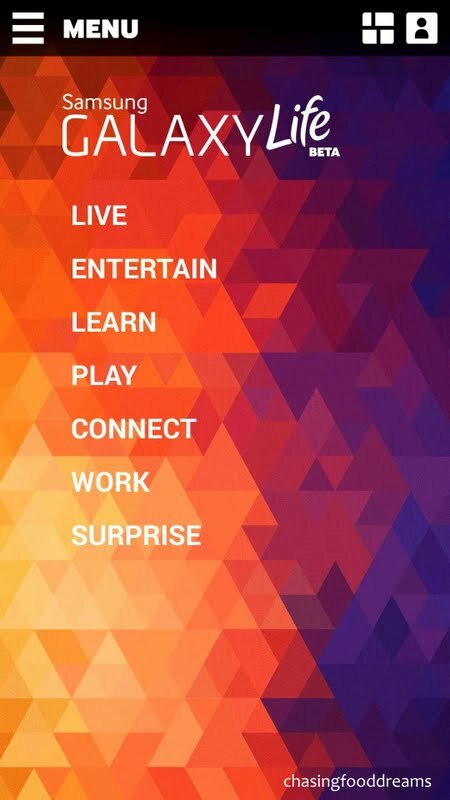 We LIVE, We ENTERTAIN, We LEARN, We PLAY, We CONNECT, We WORK and We Love SUPRPRISE! 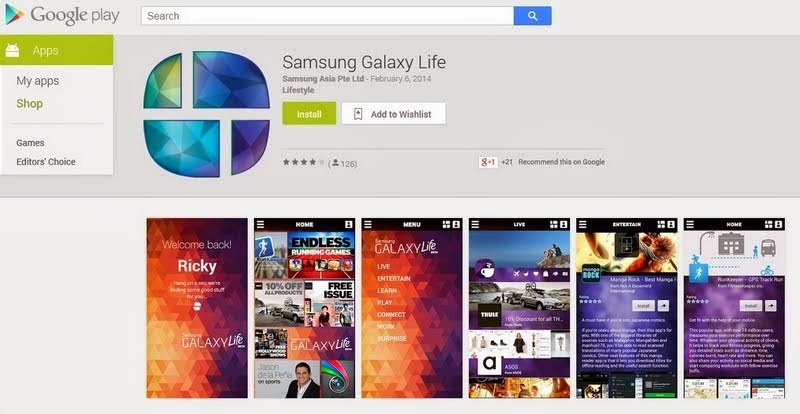 Head on over and check out Samsung Galaxy Life at Google Play Store and Samsung Mobile Malaysia Facebook. 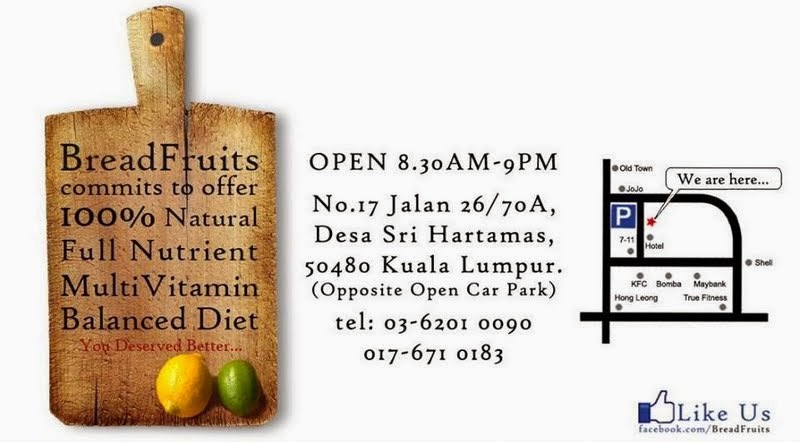 BreadFruits, Desa Sri Hartmas: Perfect for Cravings of Healthy and Hearty Breakfast & Brunch! A Great Place to Start Your Day! I have heard about this place through many foodies but somehow had never found the time to visit it. Opportunity came one lovely Sunday and I took my family to check out the place. It’s not difficult to locate BreadFruits which is located in Desa Sri Hartamas. With a promise to offer diners 100% natural full nutrient, multi-vitamin balanced diet, BreadFruits serves up healthy and fresh offerings on a daily basis all day. I was glad to grab the last table when I arrived around noon. Soon after, BreadFruits was packed. The café has a small dining area with half of the space taken up by a long bar counter and a small area of fruit for sale. Despite the small space, I really didn’t mind it as it was quite comfortable on the eye. The place uses natural elements like wood and bricks with black fixtures to contrast with white washed walls. There is a display of Malaysian Wild Honey for sale and this is also used by BreadFruits in their food and drinks. Service was pretty good despite it being so busy. Wait staff were fast and efficient. There is a long chalk board behind the counter displaying its menu of fresh fruit juices, detox drinks, smoothies and more. Menu came in a creatively made corrugated board with a tight list of offerings. Our orders were logged in. A Liver Cleanser juice (RM9.90) was my choice and it was a great one! A mix of beetroot and other fruits, I love the taste of it. Nicely chilled, the juice tasted of fresh and natural sweetness. There are lots of other options but the main ingredients are fresh fruits and vegetables. I ordered the Brunch Pasta with 7 Min Egg (RM16.80) for my son and he loved it! So did I… we love the presentation too. A 7 minute boiled egg was sitting snuggly in the middle of linguine pasta covered in a light cream sauce with lots of button mushrooms, bacon, cherry tomato, rocket leaves and a sprinkling of black pepper. Simply pour out the soft boiled egg and you get a deliriously velvety and silky pasta combination. It has a nice balance of creaminess, not the usual heavy and cloying one in carbonara. This version feels light and the combination of bacon with mushrooms and tomatoes certainly makes me feel like a great breakfast dish. Despite the amount of black pepper, it was not spicy at all as my little one polished this off happily. It’s a cleverly thought after dish and certainly warrants a reorder. My other half and I shared SatisFry Up and Chicken Avocado Rocket on Sourdough simply because we wanted more variety. SatisFry Up (RM22.80) seemed to appear in most of the tables that day. It’s a great deal as this breakfast comes with coffee or tea and a juice of the day. For those who love a big breakfast without the guilt, you will love SatisFry Up. You get a choice of pork sausage or bacon, scramble egg or sunny side up egg with sautéed mushrooms, cherry tomatoes, fried mashed potato, arugula and choice of toast. I opted for the pork sausage and scrambled egg with the works. Love the Juice of the Day! I think it was orange and pineapple. Nothing sorts of those watery versions but just like the Liver Cleanser I had, nicely thick from fresh fruits. Coffee was decent. Our plate looked just as expected on what I saw on other foodies’ blogs. Consistent is a great thing. I was pleased at the pork sausage. Again here, BreadFruits served a nice juicy and big sausage that was a little peppery. Made from meat, the pork sausage had a great bite of textures from the cuts of the meat. It was also juicy and so flavorful. I dislike breakfast plates with those teeny tiny sausages or hotdogs as they don’t seemed hearty enough. The scrambled egg looked really good! Creamy and a bright sunshine yellow, it was fluffy and tasted fresh and eggy. I like everything on that plate except the mashed potato which I thought was only average. That piece of sourdough with butter was so good… I am going to order more bread the next round. I was ok with the undressed arugula since the rest was quite rich and this helps to tone it down. I saw another favorite that was present at a lot of tables was the Smoked Salmon Breakfast Platter, serving up smoked salmon with eggs, avocado and the works. I am already eyeing this for my next visit as well. The Chicken Avocado Rocket on Sourdough (RM16.80) was really hearty and wholesome. Thick slices of sourdough has juicy grilled chicken, slices of fresh creamy avocado and lots of arugula leaves in between and was also smothered with a tangy wild honey mustard dressing. The sandwich was rich in flavors and echoed the healthy notes of the other dishes. On the side, a simple potato and arugula salad with light citrus vinaigrette, onions, olive and toasted pine nuts were pretty good. Taste Enclave, Avenue K: Sumptuous Flavors Under One Enclave! Some say they are the Best in Malaysia & Singapore! Isn’t it great when great food congregates all at one spot? Makes life easier to savor loads of deliciousness all at one place… at least my life that is! Taste Enclave made its headway into the city late last year with a big bang. Deemed a culinary landscape, Taste Enclave offers nostalgic hawker fare and niche mini restaurant dishes all set in lush foliage of modern contemporary ambience. Seating up to a staggering 550 diners, this food atrium is the brilliant brainchild of Mr. Willie Tay. Born and bred in Singapore, Willie’s vast 18 years of experience in the F&B industry makes him the perfect candidate to bring dining in food court to another level in today’s gastronomic industry. Willie expressed his inspiration of his latest food atrium to be derived from elements of nature. His detailed and thoughtful personality has enable diners to thoroughly experience a one-of-a-kind dining experience at Taste Enclave. 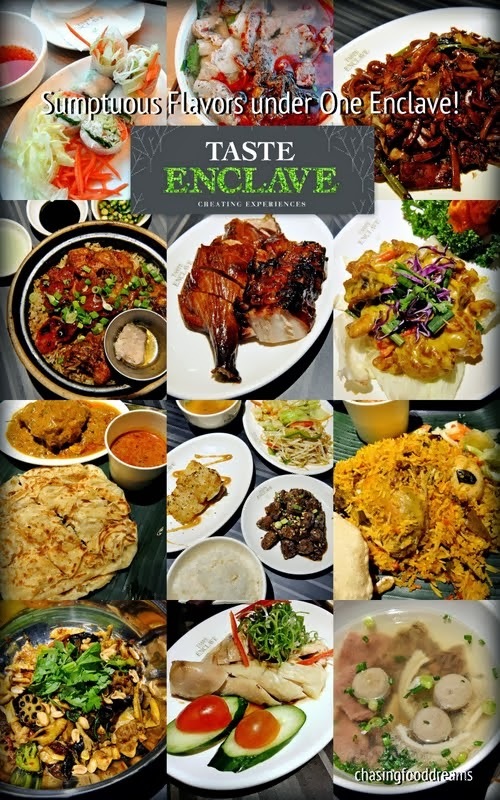 The first of many to come, Taste Enclave is located at Avenue K at Jalan Ampang, facing the nation’s pride, KLCC. Set in the concrete jungle of the city, as soon as one walks into Taste Enclave, one is immediately taken into a modern whimsical representation of nature. The food atrium is spacious. At sight, one is immediately attracted to the large creative and curvy greenscape set at the entrance. The enclosed shrub has booths for diners to enjoy their meals as well. Set with 16 famous nostalgic street hawkers and 4 small scale restaurants, Taste Enclave offers every one of all ages a nostalgic smorgasbord of flavors. Each stall is designed in theme but set differently. They are designed around the overall frame structure of a green house where lots of greens and wood prevail. The stalls have rich panels of wood design highlight with lighting. The ceiling portrays a canopy of a garden of leaves, and wood branches. Furniture is kept to simple and clean lines to allow comfort. There is even a background sound of waterscape to add more feel to nature. As authentic as it can be, Y-Thu Wendy Vietnam offers robust flavors of Vietnam cuisine with loads of heartiness. While I enjoyed the fresh flavors in Prawn Spring Roll (RM6.90) with sweet chili sauce, it was the Vietnamese Pork-Beef Rice Noodle that rocks my boat. The piping hot bowl of thin rice noodle in fiery red broth is a masterpiece. The flavors are filled with umami notes and despite it looking that red, its not overly spicy for me. The pork and beef slices are utterly divine, so tender and luscious. The quality of the beef is excellent. Lots of fresh herbs accompanied the noodles, layering more flavors. The side of chili sauce is also really good and aromatic. I wanted to finish this whole bowl of noodles that evening simply because it was just so good! If you love Soong Kee Beef Noodle, you will love this stall that takes a spin off from Soong Kee. Our bowl of Beef Tripe Soup (RM8.50) was a consommé of delicate flavor notes. Pieces of succulent tender beef, soft chewy tripe, springy beef balls and soft tendons are much welcome. Dip this in their signature vinegary chili sauce and enjoy. I heard the signature here is their dry version of Beef Noodle where the minced beef sauce is what makes diners crave for. A Singapore name, we had their Set Menu Steamed Chicken Rice (RM12.80). One of my favorite street food, it taste great when it is cook right and uses quality ingredients. After all, there really is nothing much to hide in the dish. The rice is very flavorful and fluffy. The steamed chicken is delicious as the skin has a gelatinous texture and the meat is soft and succulent. As in Singapore, it comes with dark soy sauce, pungent ginger sauce and garlicky chili sauce. While touring the place, I spied the Cantonese Wat Tan Hor… looking seriously inviting too from the aroma! Up for a show? Seat right at Grandeur Teppanyaki and watch while the chef performs the acrobat flipping and cutting action right in front of your own eyes. They also serve up lavish seafood like oysters, king prawns, Alaska cod fish and more. I like how the set meals here give diners a good balance of sides. The Deluxe BBQ Meat with Rice Set (RM12.90) comes with rice, soup, blanched bean sprouts, braised tofu and egg and meat of your choice. We had the Roasted Duck and the crystal Char Siew. Like the duck but I love the char siew even more. Layers of lovely fat and meat, the caramelized sweetness is just right and the meat almost melts-in-the-mouth. I would love to order the char siew again. My only gripe here was the rice was a little dry but the other side dishes were decent. One of the mini restaurants in the food atrium, this one will satisfy your cravings for seafood dishes like Singapore Chili Crabs, Black Pepper Crabs and more. They also offer lots of regular Tai Chow dishes. We had the Deep Fried Salted Egg Chicken (RM15.00) that night. Pieces of fried chicken covered in a buttery rich sauce laced with salted egg yolk. If only I wasn’t so full already, I would gladly polish off more than a few pieces of this classic yummy chicken. The crowning glory of the night had to be the Claypot Chicken Rice with Chinese Sausage & Salted Fish (RM10.00) from Huen Kee. They started in 1986 in the Pudu wet market area and today, the charcoal claypot rice has certainly made its mark. Using their unique charcoal two-way heat system, I was told that the claypot is heated from the bottom and the top together to give the rice an even heat system. Mix up the rice with the salted fish and it’s a pot of heavenly pleasure. The rice has a beautiful savory soy sauce flavor and is fluffy and has the essential crusty rice bits at the bottom of the pot. The chicken is well marinated and tender. It’s a near perfect pot of rice. Highly recommended in my books! Other signature dishes available are Claypot Waxed Duck Rice, Pig Stomanch Soup and Homemade Seafood Taufu. If I am not mistaken, this one is from Singapore. Famous for their roti prata, it was only fair that we had to taste it to confirm it. Our verdict of the Roti Prata with Chicken Curry (RM3.20)? Deliciously buttery and flaky roti prata served thick creamy chicken curry and a side of thinner curry gravy. The size is quite big and even when cold, the roti is still lovely and buttery. It has a tasty and velvety texture too. I was very pleased with the roti and the thick spiced up curry chicken. You must try the roti to believe me. It’s so good, you can even eat this on its own. 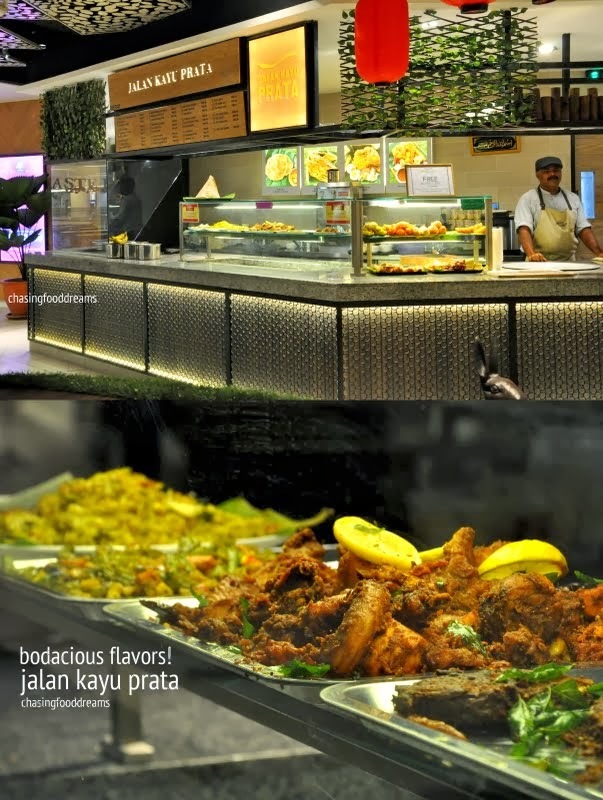 Another specialty of Jalan Kayu Prata is their Dum Nasi Briyani Set Menu (RM14.90). The spiced up fluffy long grain rice is cooked together with chicken or mutton in a sealed pot. Served with boiled egg, pappadum, pickled vegetable and a thick dhal curry, it’s a rather heavy and full meal, perfect for a hungry appetite. Since were were full, I took this home and it taste pretty good the next day too. Golden Hot Pot showcases China’s unique and classic dish of a medley of ingredients from your choice all sautéed with a signature dry chili sauce. 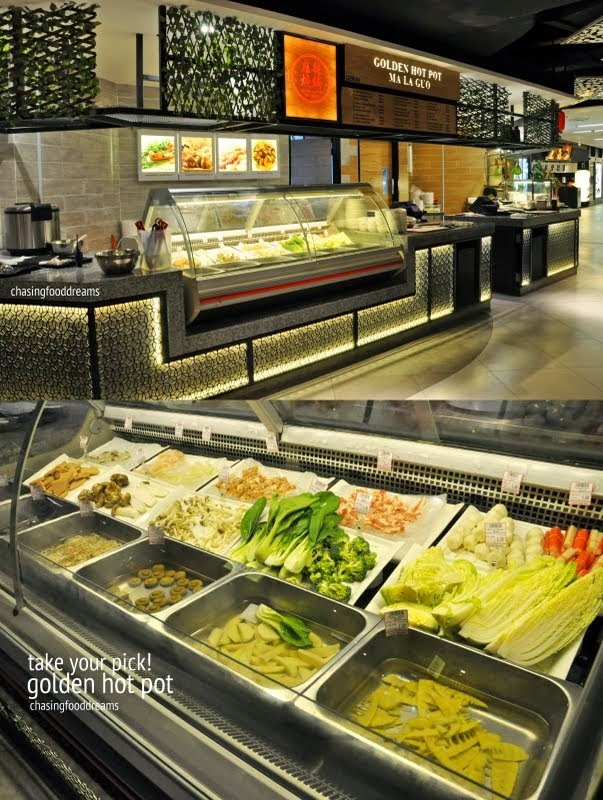 Choose from the selection available in chillers and proceed to let the staff know how spicy you like it to be. 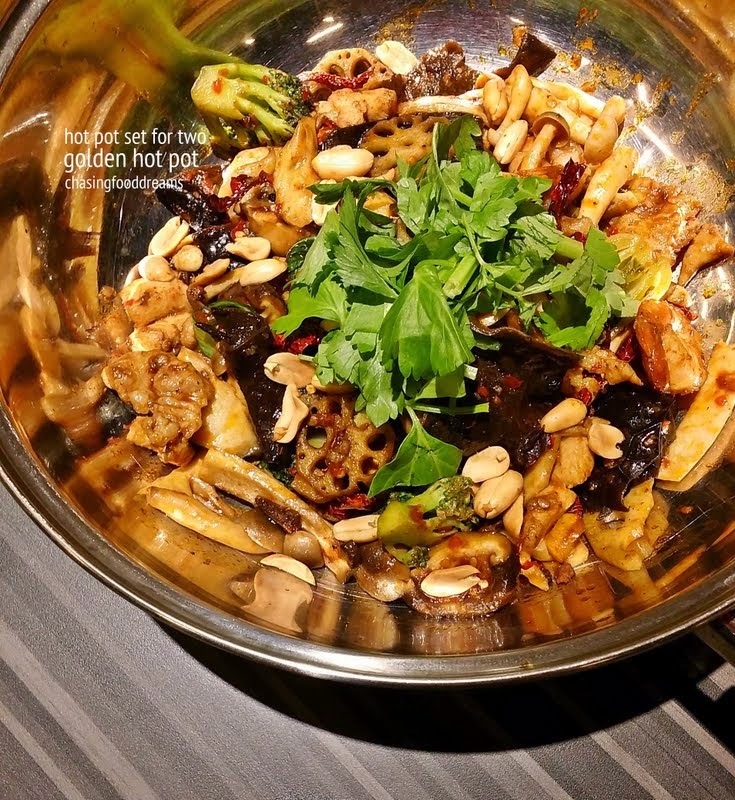 Our Hot Pot Set for 2 (ranges from RM20 onwards) had a little of everything from pork belly to beancurd, lotus root, black fungus, mushrooms, broccoli and peanuts. We asked for a higher heat level and got our wish. This one is so addictive and the more we eat, the spiciness seems to tone down and an unctuous richness of flavors fill my senses. Svea Café Stockholm was the only European mini restaurant at Taste Enclave. Serving up Swedish delights of Swedish Meat Balls with Linguine, Swedish Pork Chop and Pizza, we would have love try this if only we weren’t so full. We settled for their Brewed Coffee Roast and Café Latte. There are also desserts in the chillers for sweet-tooth fans. Overall, this is one serious food atrium you don’t want to miss. With so many stalls serving up great food, decision is hard so one may have to return several times to try it all. Prices are well valued for the quality of the ingredients. 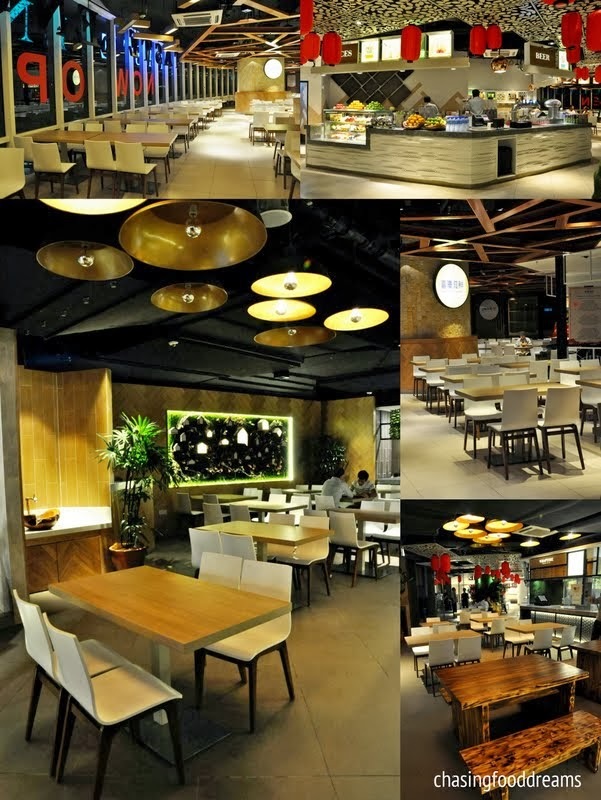 With the additional advantage of a gorgeous ambience, Taste Enclave takes dining in food court to another level. Did I mention that Taste Enclave sells beer? The next Taste Enclave is set to open in Damansara and I just can’t wait!